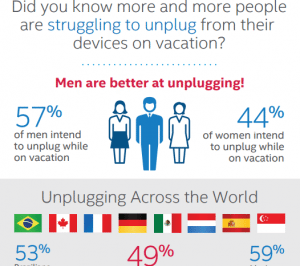 Intel study says " Millennials Are More Likely To Unplug Phones on Vacation "
Are we addicted to our mobile phones? Yes, most of us know that we are addicted and unsurprisingly we admit it. A new Study was conducted by Intel Security to understand the consumers’ digital behaviors on summer vacation. The results released on Tuesday say that we are not too eager to unplug our phones during vacation. A total of 13,650 consumers aged between 21 and 54 globally participated in this study. They were evenly separated by gender and asked the question that how well they can stay away from their mobile phones during vacation. The recent study states that nearly 55 percent of Americans who check their office mails said that they cannot unplug their mobile phones during vacation. While 65 percent of the people said, this unplugging from the digital devices helped them a lot in enjoying their vacation. According to the results, men are more likely to unplug their devices, as 57 percent said that they can plan to disconnect their phones and when it comes to women it is just 44 percent. “Being unplugged,” means no internet usage and no phone calls. 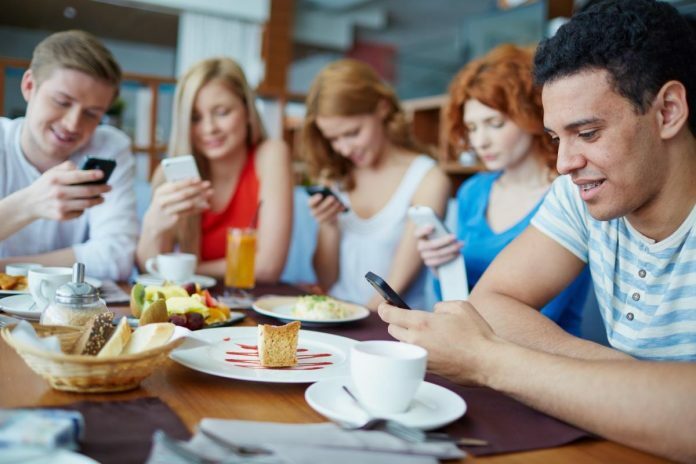 So, the results of the study revealed that 49 percent of millennials said that they could take break from devices during vacation while only 37 percent of the 40 to 50 age group said they could do so. The study also acknowledges the potential risks of staying online while away from home. The Intel security study also suggests ways consumers can reduce the travel security risks such as remembering that criminals can better monitor someone’s whereabouts via various social media postings. “Data can be expensive, but switching on Bluetooth and WiFi when out and about can be a recipe for disaster,” says Intel Security study.